Bereits als 16-Jähriger nahm er am Kandidatenturnier teil, dessen Sieger den Weltmeister herausfordern durfte. Dann ging es immer weiter aufwärts auf seinem Weg an die Weltspitze. Die Schachweltmeisterschaft 1972 war der als Match des Jahrhunderts geltende Zweikampf zwischen dem amtierenden 35 Jahre alten Weltmeister Boris Spasski und seinem 29 Jahre alten Herausforderer Bobby Fischer um den Weltmeistertitel im Schach, der auch über die Schachwelt hinaus Aufsehen erregte. 1970: Beim Interzonenturnier in Palma de Mallorca gewann er überlegen, mit sage und schreibe 3,5 Punkte Vorsprung auf GM Bent Larsen - zweiter Sieger. 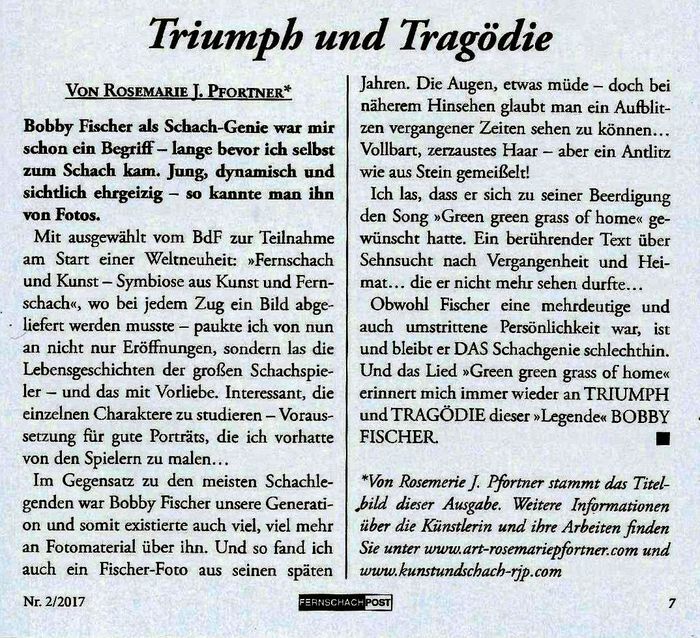 Mit diesem gewaltigen Sieg erwarb sich Bobby Fischer das Recht um die Weltmeisterschaftskrone zu kämpfen - sein Jugendtraum, nicht mehr, nicht weniger! 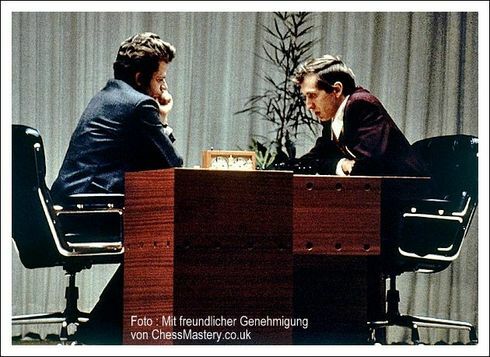 1971: Fischer hat es eilig, der weltbeste Schachspieler zu werden und in diesem Streben ist er unwiderstehlich. Bei den Kandidatenfinals gewinnt er alles: 6 - 0 gegen Mark Taimanow, 6 - 0 gegen Bent Larsen und schließlich 6,5 - 2,5 gegen Tigran Petrossian. Nach diesen erneut gewaltigen und Kantersiegen bekam Bobby Fischer das Recht, gegen den amtierenden Weltmeister Boris Spasskij anzutreten. Spasskij ist eine außerordentlich gebildete Person. Er ist auch der Großmeister der sozusagen alle Eröffnungen beherrscht, sogar das Königsgambit! Zuvor hatte Fischer noch nie gegen Spasskij gewonnen! 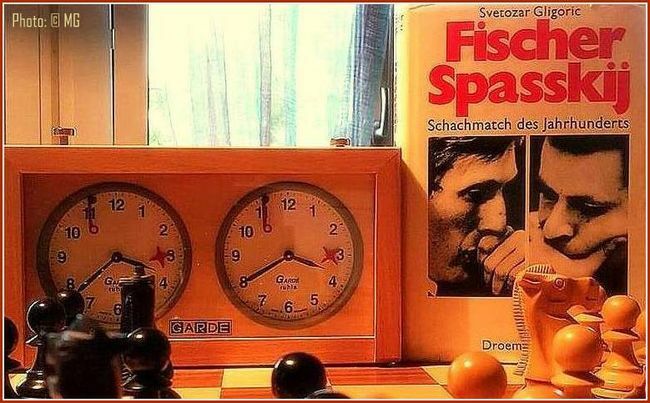 Im Jahr darauf, d.h. 1972, schlug Bobby Fischer Boris Spasskij und realisierte zugleich seinen unwiderruflichen Traum : Weltmeister des Schachs zu werden! 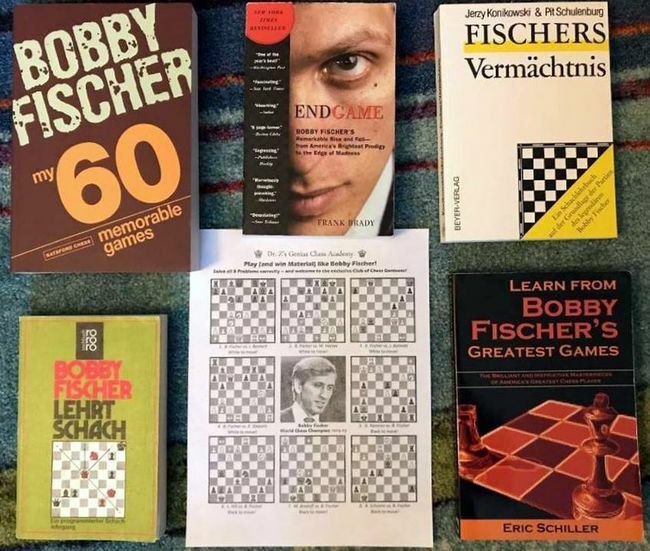 "I created a Bobby Fischer tactics worksheet for my scholastic chess students: "Play (and win Material) like Bobby Fischer!" Have fun solving!" Bobby Fischer became an International superstar upon winning his World Chess Championship title in 1972. With the world at his feet, he refused lucrative commercial endorsements, simply because he did not use their product! Having attained his lifelong goal, Bobby did a very strange thing. He virtually vanished over the next 18 years. Rumors ran rampant over his whereabouts, or whether he would ever defend his title. 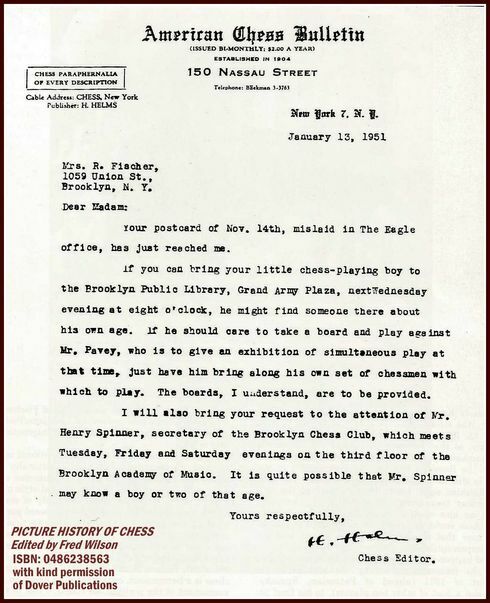 Hollywood capitalized on Fischer's absence by making the movie, "Searching for Bobby Fischer". Little did they expect that during production of the film, Fischer would reemerge after twenty years of isolation! When I asked Boris Spassky at LA in 1987 if he would like a rematch with Bobby someday, Boris replied, "Yes, very much! But this is a fantasy," with the tone of a man convinced that Bobby would never play another serious game. Despite Boris' pessimism to me over a potential rematch with Bobby, Spassky was about to become a millionaire. 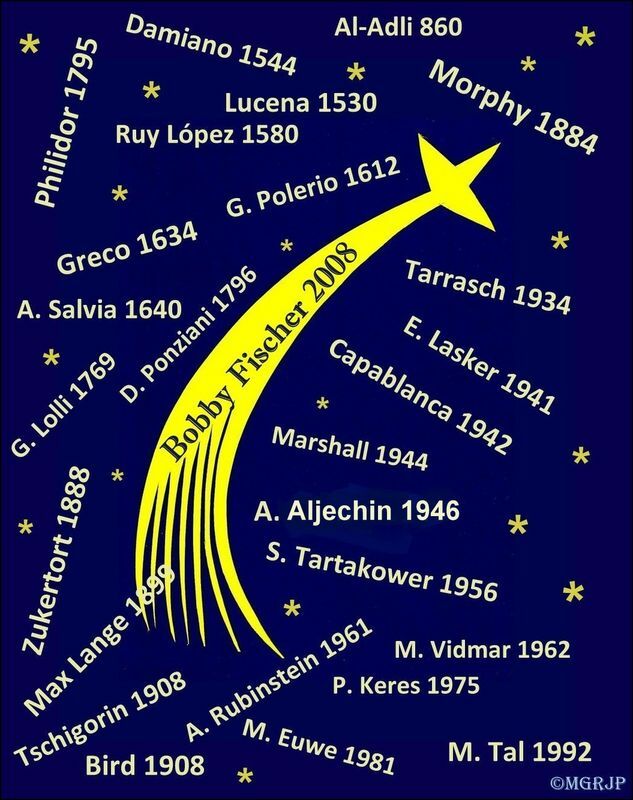 Fischer challenged his old rival to the "Revenge Match of the 20th Century" for a prize fund of $5,000,000 with two-thirds to go to the winner, the largest payday in chess history! Boris was grateful Bobby had selected him to finally cash-in on their fame from the 1972 match, stating "Bobby has rescued me from oblivion." 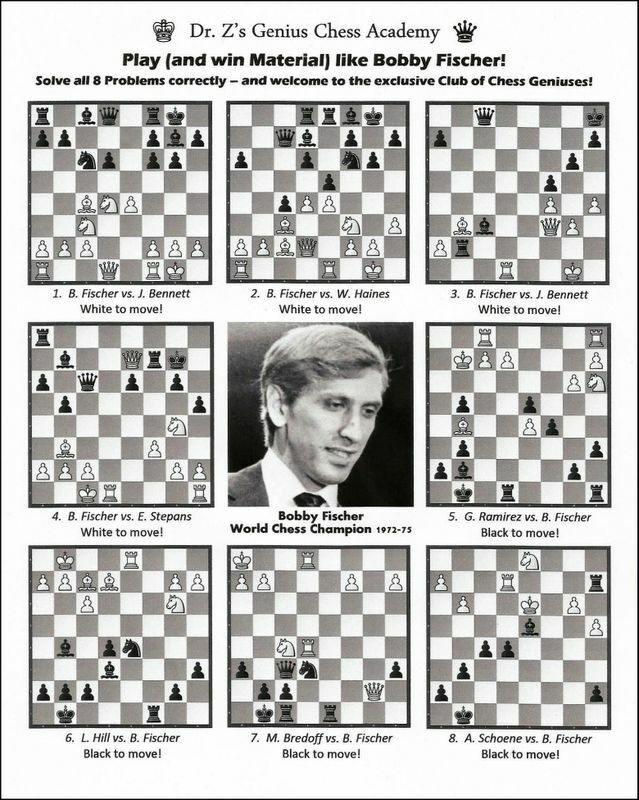 Fischer insisted for the organizers to bill their match as the true World Championship. The new match took place in 1992, split between Sveti Stefan, Montenegro and Belgrade, Serbia, despite a United Nations embargo. The US Department of Treasury wrote to Fischer that his participation was illegal as it violated President George Bush's Executive Order against engaging in economic activities in Yugoslavia. With all the world press in attendance, Bobby literally spat on the U.S. Treasury order forbidding him to play. Fischer won the match, 10 wins to 5 losses, with 15 draws. The level of play was a bit uneven, yet Bobby showed flashes of his old brilliance. After the match, the Department obtained an arrest warrant for Fischer for violating the order and tax evasion. Bobby remained a wanted fugitive for the rest of his life and could never return to the USA, as he was facing a $250,000 fine and 10-20 years in prison for money laundering and tax evasion. Fischer became a globetrotter, living in Hungary, the Philippines, and Japan. In July 2004, he was arrested at an airport close to Tokyo for allegedly using a revoked US passport while trying to board a flight to Manila, apparently to see his 3-year old daughter, Jinky Young. He suffered a broken tooth and cuts during the arrest. Fischer's US passport had been issued in 1997, despite the arrest warrant, yet US officials claimed they sent Fischer a letter of revocation in 2003. It was the ultimate setup, as Fischer thought his passport was still valid. Why else did the US renew it? He was held in custody for 16 days before transfer to prison, reportedly in an area known to be radioactive. Fischer's cell had no windows, and the guards ignored his complaints over hunger, psychological torture, & tobacco smoke in his cell. Fischer managed to block the Japanese Immigration Bureau's efforts to deport him to the US and Fischer renounced his US citizenship. Within a month, Fischer married Miyoko Watai, President of the Japanese Chess Association, with whom he had been living since 2000. Japan's Justice Minister rejected Fischer's appeal to be allowed to remain in Japan and ordered him to be deported. Fischer unsuccessfully applied for German citizenship and became a man without a country. When no one else knew what to do, it was John Bosnitch, a skilled journalist & political activist, who set up the "Committee to Free Bobby Fischer" after visiting Fischer in the Narita Airport detention center. Bosnitch creatively argued for & won the right to participate as an amicus curiae (friend of the court) to appear before the Immigration Bureau tribunal charged with handling Fischer's deportation. Bosnitch filibustered for more than 24 hours through two deportation hearings! He then worked to legally block the Japanese Immigration Bureau's efforts to deport Fischer to the United States, coordinating a 9-month legal and public relations 'Free Bobby Fischer' campaign until Fischer's eventual release. Fischer was, after receiving full Icelandic citizenship, allowed to leave for Iceland, instead of being deported to the US. Only due to John’s efforts, Bobby lived out his last days in peace, after which Bosnitch was instrumental in securing Bobby’s estate for his lawful wife, Miyoko, & thwarting the US Government’s attempt to seize Bobby’s money. 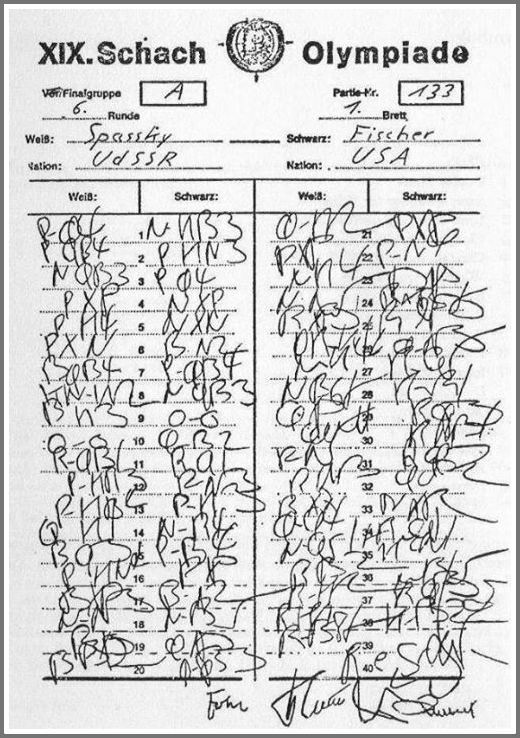 Twelve years had gone by since their return match, yet Boris Spassky was determined to show his appreciation and loyalty to Bobby by writing a letter to President Bush which he ended by stating, "Bobby and myself committed the same crime. Put sanctions against me also. Arrest me. And put me in the same cell with Bobby Fischer. And give us a chess set." Eight months of rotting in a Japanese prison by US authorities took its toll on Bobby. He finally received help from Saemundur Palsson, Bobby's bodyguard and driver during his historic 1972 match with Spassky. Palsson, a carpenter, former policeman, and judo black belt, received the nickname 'Rock' when he became a Twist Rock 'n' Roll Icelandic dance champion in the Fifties. After the '72 match, Saemi went with Fischer to America to act as his bodyguard, while Fischer carried suitcases of antidote pills due to his worry that the Russians might poison him. Over four months of frustration led Saemi to tell Bobby he was returning to Iceland. Bobby paid him $300 for his services. They had not spoken to each other in 20 years, yet Bobby called Saemi from prison asking for his help. Saemi immediately flew to Tokyo to meet with Miyoko Watai. Saemi finally managed to visit Bobby on his March 9 birthday, to find the 62-year-old Fischer now had long gray hair and a grizzly beard. Desperately trying to avoid deportation to the US, Fischer and Palsson begged the Icelandic government for citizenship. The Althing eventually agreed to grant Fischer full citizenship for "humanitarian reasons", mainly because his 1972 match had "put Iceland on the map". The US government filed charges of tax evasion against Fischer in an unsuccessful effort to prevent him from going to Iceland. Fischer denounced President Bush as a criminal and Japan as a puppet of the US. On March 23, 2005, Fischer was finally released, welcomed by a huge crowd upon his arrival in Reykjavik, gave a news conference, and then retreated to a life of relative seclusion. In September 2005, Fischer's then alleged daughter Jinky (later proven fraudulent when Fischer’s body was exhumed for DNA evidence) and her mother Marilyn Young joined Bobby in Iceland for three months. It was the last time they were together as a family. Fischer stayed in touch though daily phone calls and by sending them £1,000 every month. Miyoko Watai's reaction to the visit is unknown. On December 10, 2006, Fischer phoned an Iceland TV station, pointing out a winning combination missed by the players and commentators of a game which was televised live. Fischer was known to visit Reykjavik coffee houses, hamburger joints, and the Bokin bookstore twice a week, as he was a voracious reader. If he did dine out with friends, it would be shortly before closing time to avoid scrutiny. Fischer did not tell his friends he had been suffering from renal disease for years. By October 2007, it got far worse. Bobby lived in an apartment near his best friend and spokesman, Garðar Sverrisson. His wife Kristín, a nurse, helped with Bobby's ailments, and their two children enjoyed Bobby's company. Bobby valued Sverrisson's loyalty, and Garðar has continuously declined interviews since his death. Bobby's other close friend was Magnús Skulason, head psychiatrist of Sogn Mental Asylum for prisoners. They met at Bokin, which reminded Bobby of his favorite childhood bookstore in Brooklyn. Bokin was so comfortable, Bobby had a wooden chair in the corner where he could read for hours or even fall asleep. Fischer was admitted to a Reykjavík hospital for dialysis treatment for seven weeks, and was released in better condition by mid-November. In December, Bobby watched his last film, American Gangster, became extremely ill, and turned down any further pain medication or dialysis, refusing to cheat death. His wife Miyoko arrived from Japan to share their last Christmas together. Miyoko routinely split her time between countries and went back to Japan on January 10, yet would have to return just days later. Bobby's condition rapidly deteriorated. He was hospitalized, yet chose to return home to subsequently die on January 17, 2008. Dr. Skulason had aided Bobby in his desire to avoid kidney treatment and was at his bedside for the final 12 hours of his life. 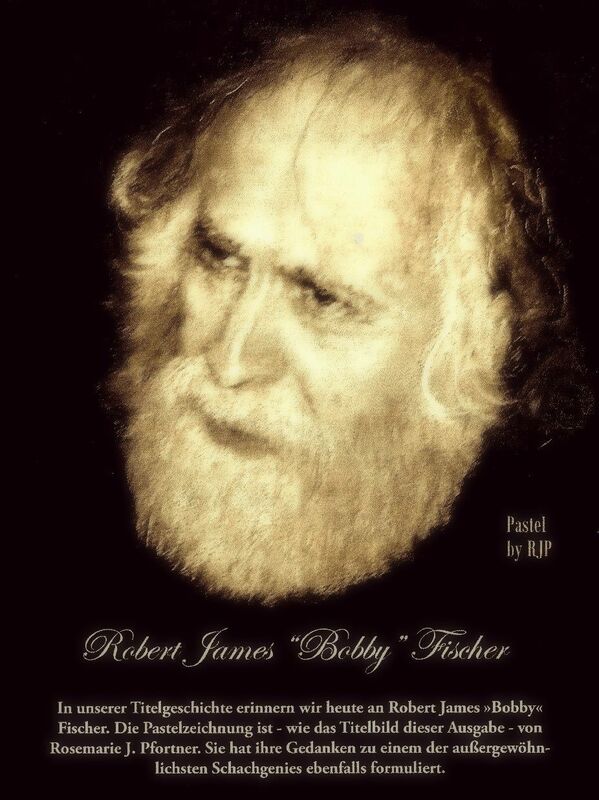 As Bobby refused drugs, he gently stroked Bobby's aching feet, upon which Fischer's final words were, "Nothing is as healing as the human touch." Ironically, Bobby was 64-years old; one year for each square on the chessboard. He simply had run out of squares. Fischer's estate, estimated to be over $2,000,000, was contested between Fischer's daughter Jinky, his wife Miyoko, his late sister Joan's two children, and the US government's claim for unpaid taxes. Fischer asked to be buried in a small cemetery of Laugardaelir church, in the countryside outside the town of Selfoss, near Reykjavik. His grave was secretly dug in the darkness of night without permission. He did not want anyone at the funeral, except Miyoko, Garðar's family, and a Reykjavik Catholic priest, Father Jakob Rolland of France. Bobby's brother-in-law, Russell Targ, was not invited. Looking for part of the estate, he flew in for the funeral, which was secretly held just as Targ's plane was hitting the runway. Even in death, Bobby also managed to thwart the specter of the media he ardently mistrusted. On March 10, 2008, a group of Grandmasters attended a tournament in Reykjavik memorializing Bobby's March 9 birthday. GM William Lombardy, a former Catholic priest who was Fischer's second in 1972 organized a memorial ceremony for Fischer, after which Grandmasters Boris Spassky, Pal Benko, Vlastimil Hort, Lajos Portisch and Fridrik Ólafsson gave speeches in honor of Fischer. Spassky laid flowers while dusting the snow off Bobby's grave and then stood up with tears in his eyes, remarking "Do you think the spot next to him is available. We will see what happens." "Ich sang es, als wir durch Budapest gingen.